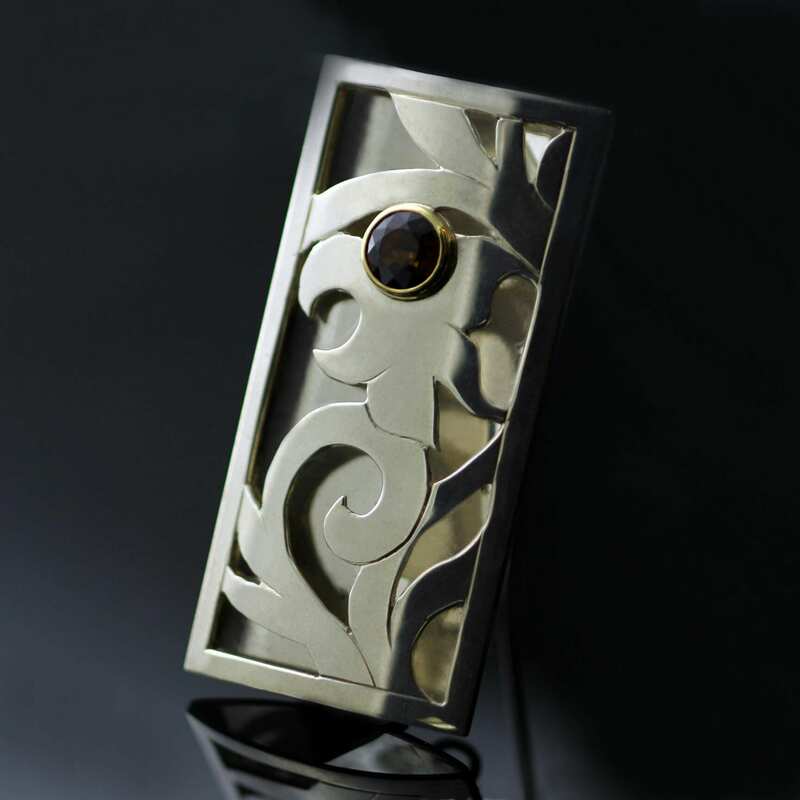 Showcasing this breathtaking ‘Music Box’ brooch design by Julian, adorned with a beautiful Specetite rich red Garnet surrounded by a 18ct Yellow Gold collet setting which offers a glorious example of the exceptional design, creativity and technical skill evident in Julian’s original creations. 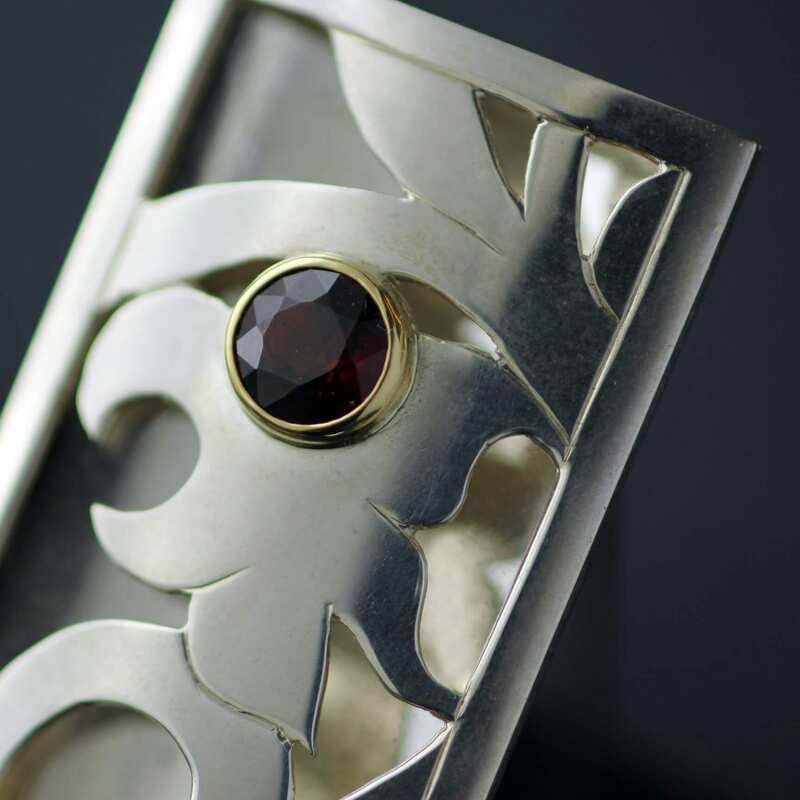 The layered Garnet, Yellow Gold and Sterling Silver brooch is created using a hand piercing technique, inspired by the fret work found on Antique Jewellery boxes, to create two layers of solid Silver metal to create the cut away ornate scrolled motif. This clever design plays with light, depth and texture which is further enhanced by the glittering, faceted gemstone, combined with a hand polished finish to enhance the shiny, glossy surface which allows light to play and bounce between the layered Silver. 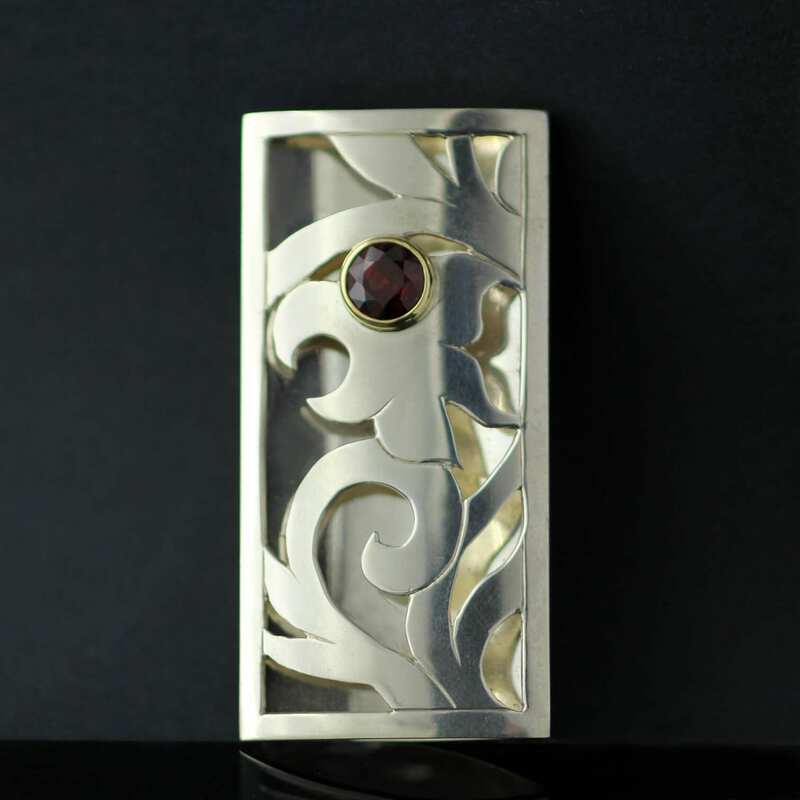 This beautiful brooch design is finished with a twin pin fastening on the reverse of the piece to safely secure and fasten, this lovely brooch proudly bears Julian Stephens exclusive maker’s mark and is fully Hallmarked.